PawBoost loves to share happy endings! 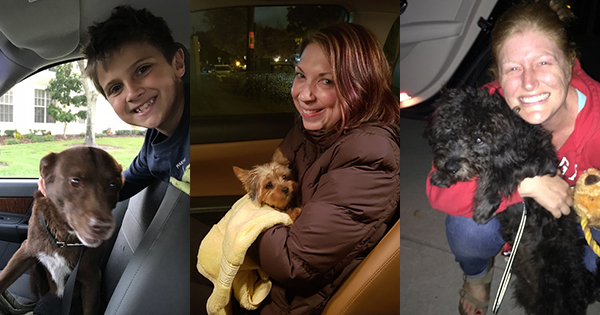 Read November’s Featured Happy Tails to learn how these fur babies were reunited with their families. 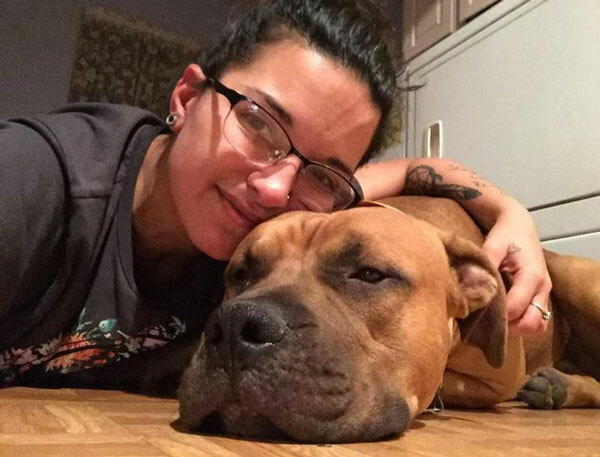 Leo: Lost Dog Reunited in Schenectady, NY! “Leo is actually our neighbor’s and best friend’s dog. She called me crying when she found out Leo was gone. He was in their backyard which is just separated from our back yard by a fence and suddenly he was gone. Turns out that he must have went through a part in the back where the fence kind of fell over and they could not see it because there are bushes and branches. So we looked all over and called his name and Carina (his owner) ran up and down the streets to look for him but could not find him. While she was walking through the streets I called the cops to ask them to keep an eye out for him and to let them know he is not dangerous even though he is really big and people might be scared. Then, I posted his picture on Facebook and PawBoost. In the meantime, my husband got home from work and since we are huge animal lovers and have two dogs and a cat ourselves, we got in the car right away and drove around looking for Leo. We saw him a few streets away and a guy had Leo on the leash together with his own dog. He saw Leo walking around and put him on a leash and he was on his way to the dog park to see if someone knew his owner. We stopped, I opened the car door, called Leo’s name and he came running, wagging his tail and jumped in the car right away. He was so happy that we found him. We brought him home and Carina was in front of the house. When she saw that we had Leo in the car she came running, crying, and was so happy he was back home. Pepper: Lost Dog Reunited in Athens, GA! “Pepper is 7 months old and goes to work with me at my business in Athens, Georgia. Late in the afternoon one Monday, he wandered outside while I was busy. Sadly, he was not wearing his collar (that he always has on) nor is he chipped yet. Two girls saw him wandering on the street after he escaped and grabbed him to keep him safe. They loved on him for a few days as if he were their own until they saw a flyer we had circulated around town, so they contacted me. PawBoost was a very useful tool to use while he was missing to help spread the word. I do not think we would have been reunited if word hadn’t spread as it had through social media, word of mouth and flyers. I would absolutely recommend PawBoost because it was very simple to set up while I was going through a very stressful situation. The platform is extremely easy to use and seemed to get a lot of exposure. I have seen several animals reunited through PawBoost, so I felt confident that it would help Pepper come home as well! 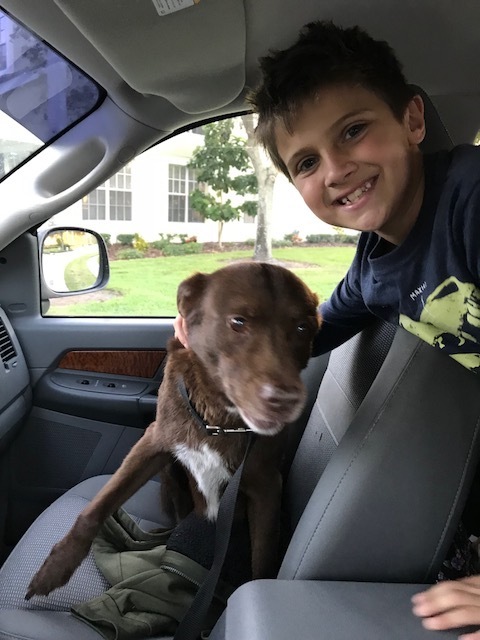 Jeffy: Lost Dog Reunited in Westchase, FL! 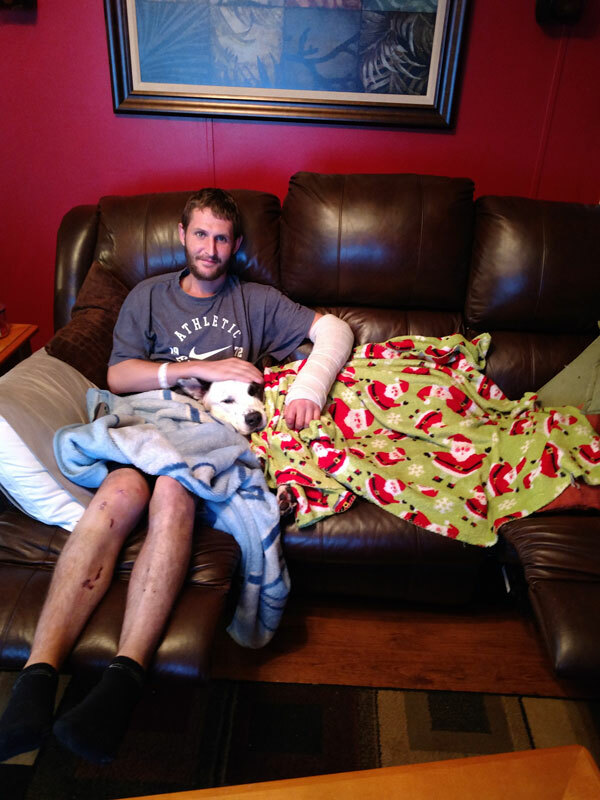 “Jeffy snuck out the front door as I was cleaning up the porch with my oldest son. He was missing for 48 hours. I put out signs, bowls of food and water, and even tied my blanket that he sleeps on to a tree incase it would help him smell his way back home. I couldn’t sleep at all. Every phantom dog whimpering I heard I ran to the door, but he was out roaming the neighborhoods and back wooded areas. There were sightings by busy roads and between heavily wooded areas. I posted his picture and information on Facebook in my local community groups, on my local animal shelter’s page, and on PawBoost. My post on the local animal shelter’s page was shared a total of 74 times. My local community Facebook group post was shared 78 times. But the PawBoost post was shared by 322 people! It was a neighbor that found him and contact me through my local community group’s Facebook page. 322 people sharing a lost animal’s picture is purely amazing! PawBoost is connected to all the right people. They are thoughtful, caring, and kind with the right intentions. Thank you for caring about my dog and having this platform to reach a community of caring, animal loving people! Penny: Lost Dog Reunited in Philadelphia, PA! “One Friday, Penny ran out of the front door when my husband opened it to go outside. She squeezed between his leg and the door frame and bolted once she got outside. Although there were sightings of her that evening about a half mile away from home, Penny ultimately ended up in a neighbor’s back yard around the corner from home. After being gone for 27 hours, the neighbor spotted her in the yard and called us. Earlier that day, we put flyers in the doors of all the houses in the area and put up flyers on telephone polls throughout our development. To keep her warm, they gave her a hot bath and even blow dried her! They also fed her. 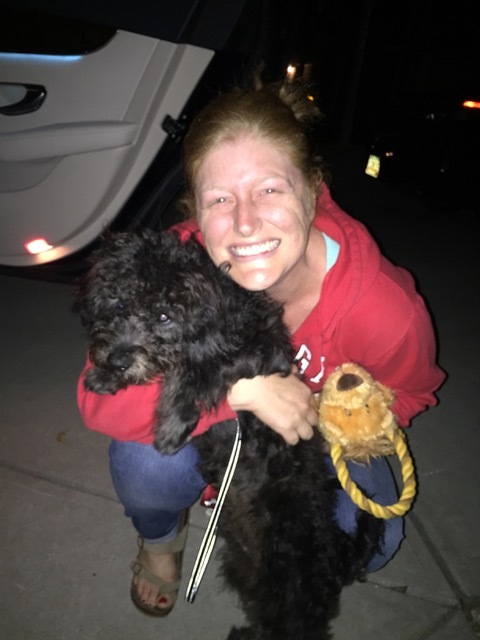 Trip: Lost Dog Reunited in Buncombe County, NC! “Trip went missing one Saturday night when he was in the car with my son and his girlfriend. They got in a bad car wreck and Trip got out of the window and took off from the shock. We stayed around afterwards trying to find him but he never came. Then, the next day came and I went searching and searching and nothing. I did this all the way up until we found him. My son just got out of the hospital, because he had to have two major surgeries and he was in there 6 days, the same length of time that Trip was missing. We went searching near the wreck and a few people told us that they had seen a white dog around the area. So we continued hollering, looking around and asking people. After about 2 hours or so we finally backed the car in and just sat and waited to see if we might see him. Then, here he comes walking around from behind a building and he came to us and he was so excited. My son and I were crying because Trip was missing for six long days and nights in the area he had no clue about. We got him home, he ate just a little and drank lots of water. We got him warm and checked out and he’s okay. He slept a lot with my son who is still recovering from the surgeries. love the happy endings. This is the first thing I check in the morning in case I might come across one of the posted missing animals. Me too!! I always share all the post to the public and with the local animal shelter, maybe someone has found them and helps. I love happy endings as well. Love to hear pets being united with their owners. There are so many lost pets everywhere lately–please while doing your excellent work, encourage everyone to get their dog and cat chipped and to get one of the new collars that show their name and number on the outside. Please advise them to look with their own eyes at all local shelters–so often they are in a cage in a shelter and the workers don’t recognize the description or whatever but I volunteered over 25 years and saw it happen often but not often enough!! Thank you beyond words for what you do!! My baby Peggy was returned thanks to people like you. What a great site. My knucklehead dog was found relaxing in a yard after 4 days on “vacation” the homeowner searched Pawboost and we were together again. I’ll always keep an eye out for YOUR lost dog!